Health systems invested in electronic health records to drive patient care improvements, increase efficiencies, reduce lengths of payment cycles and allow for prospective and retrospective reporting without manual intervention. Some, not all, of those anticipated benefits have been realized. In many cases, expected clinical efficiencies are not being experienced, and often satisfaction is deteriorating. Many providers are spending significant time searching for clinical data, constructing orders with the necessary diagnostic evidence, documenting the patient story to inform the care team, and responding to patient/colleague communications outside of clinic hours. Some in healthcare have even blamed the EHR for exponentially increasing the physician burnout epidemic. "The promise and hype of EHRs, for many organizations, has failed to materialize," said Dr. Greta Branford, associate CMIO for ambulatory care and assistant professor of internal medicine/pediatrics at Michigan Medicine. "Despite the sizable investment in implementing these EHRs, most organizations have allowed a reduction and/or overall embargo on the very resources that should be dedicated to working shoulder-to-shoulder with providers to enable continuous improvement, resolve issues, enhance skills and build tools to drive efficiencies," she said. Many caregivers are experiencing a training desert after initial go-live and/or new hire onboarding, she added. For them, training is delivered in a self-service format, assuming caregivers have the time to read and apply well-intentioned e-mails, tip sheets and pre-recorded online learnings, she said. "The program should consist of multiple and diverse educational offerings delivered by dedicated trainers fluent in physician workflows who work in partnership with identified physician champions." "Instead, it’s pivotal for organizations to institute an ongoing program that promotes a state of continuous improvement, keeping pace with new functionality so end-user needs can better support efficiency, optimized patient care, and provider and patient satisfaction," said Branford. Clinic sprints: Deploy a "power team" of workflow and EHR experts to improve specific focus areas of operations. EHRs in general are capable of much personalization, but they are so complex that caregivers have no idea what features exist; furthermore, they have no time or energy to learn or to do the personalization, Branford said. "From my personal experience, with this comes a feeling of just clicking boxes and disconnection from the patient and loss of a sense of purpose," she explained. "On any given day, we physicians must click boxes to record history and then click a box stating we have reviewed it, order labs and studies and order referrals, and medications." Physicians also need to track pain, depression and anxiety scores, how people learn best, how they want to be contacted, and whether the patient vapes or uses tobacco, alcohol or drugs. Physicians must enquire about food security, isolation, transportation, health knowledge, among other things. "While all of these things are intended to provide risk stratification and a richer understanding of the patient, and ultimately better care, the patient is left wondering when we will ask them why they came in for the visit," she said. "The doctor is left wondering if this is why they went to medical school." A comprehensive program can ensure personalization does occur as well as improvements in efficiency and satisfaction, addressing the aforementioned concerns, she added. 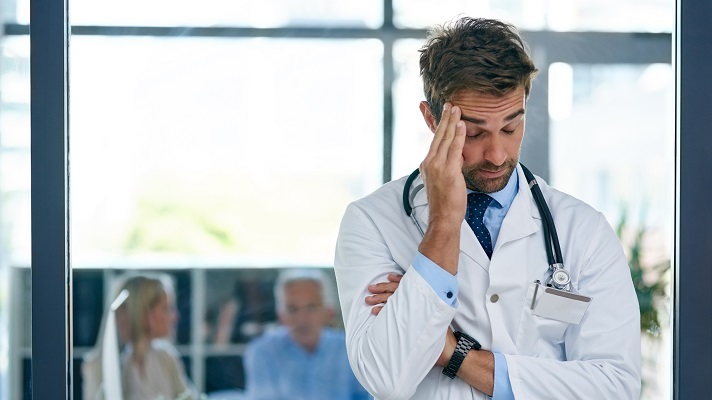 While everyone is enamored with the cutting-edge IT, AI, and the shiny objects of tomorrow, focusing on realizing the true value of EHR investments is critical to advancing to the next generation care model, addressing growing financial pressures, and improving operational efficiency and effectiveness, Branford insisted. "Using the system to a provider’s best advantage is really what will make most of the difference on a broad scale," she said. "When we spend time to listen to the providers, their requests for system changes and the opportunities for improving workflows, it helps. They feel heard, and we can start tailoring training and personalization efforts to what they need and deliver it in the way in which they prefer to learn." "Addressing the stressors of provider burnout is imperative for all health systems," Branford stated. "There are several components contributing to overall burnout: technology, care models, leadership and engagement structures. Progress must be parallel-tracked across all these causal components." The EHR is a contributor, and investigating how to improve usability with the EHR is an essential step, she said. Factor in the voice of the caregiver through surveys, interviews and focus groups to determine the primary drivers, she added. Then develop a roadmap and plan to address the top drivers, she said. "Usability is likely to come to the top of the list," she said. "If so, build a program supported with the resources and programs that will meet provider needs, on their terms, to drive year-over-year continuous improvement. By factoring in the voice of the provider, she explained, an organization is best equipped to connect physicians with resources and programs that meet their needs, on their terms, to drive year-over-year continuous improvement for this significant EHR investment. Branford will share more insights at HIMSS19 in a session titled "Burnout: How EHR Usability Improves Efficiency & Satisfaction." It’s scheduled for Thursday, February 14, from 2:30-3:30 p.m. in room W304E.